The Tamil film industry mourns the passing of Carnatic legend M Balamuralikrishna. Renowned Carnatic vocalist and musician Mangalampalli Balamuralikrishna passed away at his residence in Chennai on November 22. He was 86 and reported to be ailing for the last few days. He is survived by his wife, three sons and three daughters. Balamuralikrishna started his career at the young age of six and went on to give over 5,000 concerts worldwide winning national and international acclaim. He was honoured with the Sangeet Natak Akademi Award in 1975, the Padma Vibhushan, Padma Shri, the Mahatma Gandhi Silver Medal from UNESCO in 1995, the Chevalier of the Ordre des Arts et des Lettres by the French Government in 2005, two National Film Awards and numerous State Awards. With an illustrious career spanning over seven decades, the revered music composer is mourned by the entire Tamil film fraternity. Kamal Haasan: 81 yrs Mahaguru Dr. Balamurali enthralled millions with music. Thanks 2 technology even death cant silence his voice. Pranam guruji & goodbye. AR Rahman: From All of us at KM CONSERVATORY ..Respect and prayers for the legendary Balamuraliji. Dhanush: RIP #Balamuralikrishna sir. Legend of the Carnatic Music world. Heartfelt condolences to his family. Anirudh Ravichander: RIP legendary #Balamuralikrishna sir.. Fondly remember interviewing him for my school magazine. 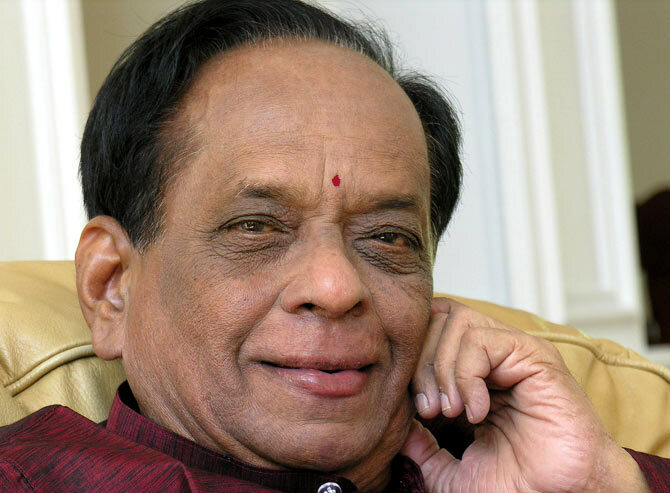 Vishal: Sad to hear dat Carnatic music legend #balamuralikrishna passed away. his voice and his songs Wil b an everlasting memory. RIP. Khushbu Sundar: We hve lost the brightest star of Carnatic world #balamuralikrishna was a rare gem..r treasure..ur music wl continue 2 stir r souls Sir. Radikaa Sarathkumar: RIP to the great #balamuralikrishna , his music will live on always. Director Selvaraghavan: #Balamuralikrishna, the legend of our own music. Heartfelt condolences to his family. Raghava Lawrence: RIP to the great #balamuralikrishna, his music will live on always. Vikram Prabhu: Dr M.BalamuraliKrishna The great Carnatic singer admired by millions including my grandfather has passed away. Condolences to his family. Jayam Ravi: Fall of a legend. RIP #balamuralikrishna sir. Kajal Aggarwal: Loss of a legend. RIP. Dr.Balamuralikrishna sir. G V Prakash Kumar: Rip #balamuralikrishna the legend . Have met him on lot of occasions. A great loss to the music industry.